I loved the art in this book. It was just quirky enough to keep my interested and just colored enough to be cool. This book works both in black and white (how I initially read it on my Kindle) and in color (on my phone). The story was good. It wasn't too heavy handed, the message was good, and very relateable. Ooko is a fox that is lonely, wants to make friends, and tries to fit in with the other "foxes" (dogs) and the "Debbies" (humans). 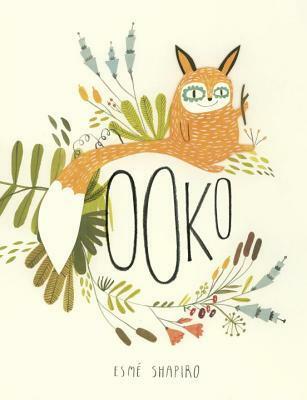 The parallels between what we face in society today and Ooko's difficulties are easy enough for a young child to understand and interesting enough for the adult reading the story to their young. Fuchsia Fierce is a bold name for a bold girl, but she wasn't always so brave. Thanks to her parents, her camp counselor, and her friends, Fuchsia finally learns how to live up to her name.This vibrant picture book will teach every reader the importance of self confidence: a priceless lesson. The art really stood out with the colors. Kelly Canby did a good job of illustrating the different activities that Fuchsia was initially missing out on and what she learned to enjoy after her revelation. The story was a simple one about finding your self confidence. I'm a little suspicious of how easy it was for Fuchsia to resolve her core problem so quickly, but it's also difficult to tell how much time passes at this camp, so what seems like a couple of days could actually be a few weeks which would be a bit more believable. I think a lot of little girls will like this book and might aspire to be like Fuchsia: fierce and brave.